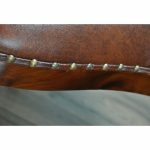 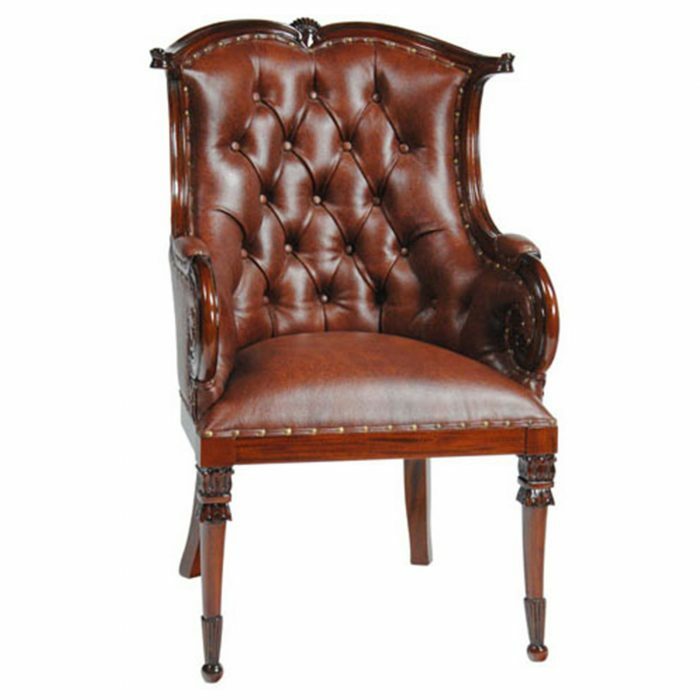 The Niagara Furniture Leather Fireside Chair is designed after an American original antique chair and ships out covered in full grained tufted genuine leather with brass nail trim. 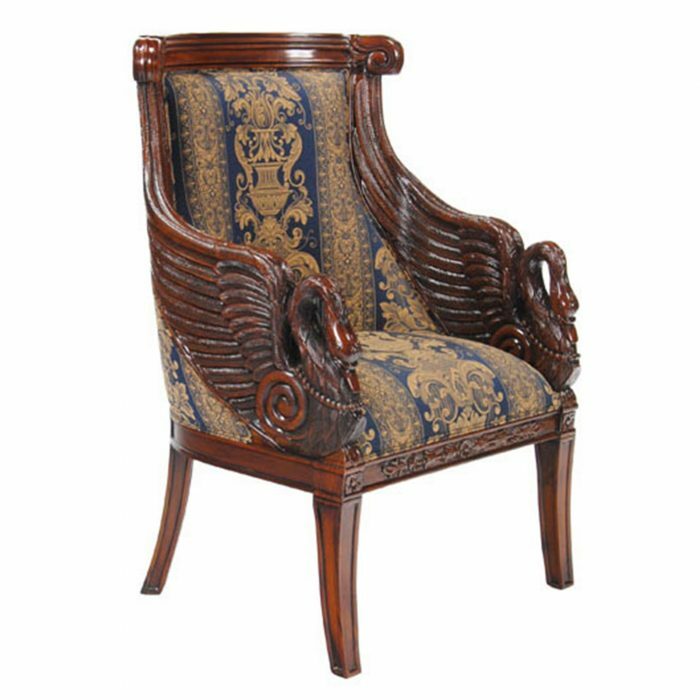 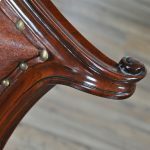 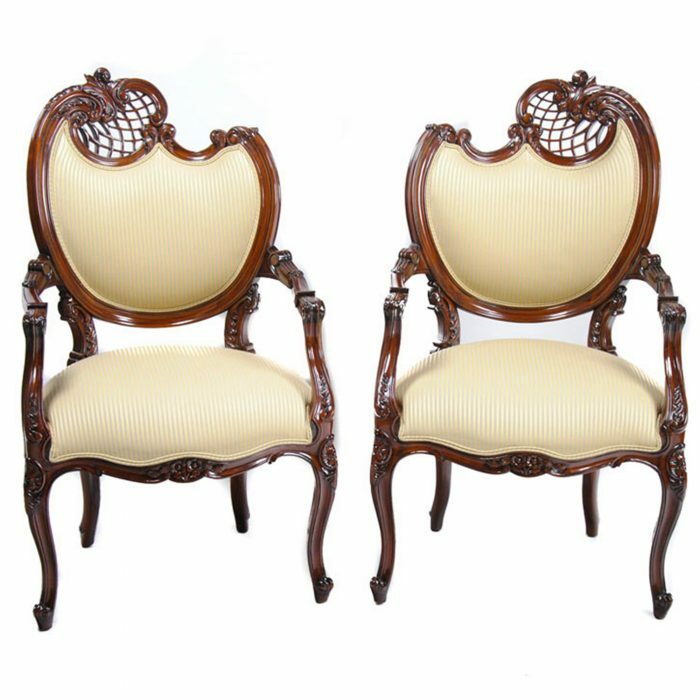 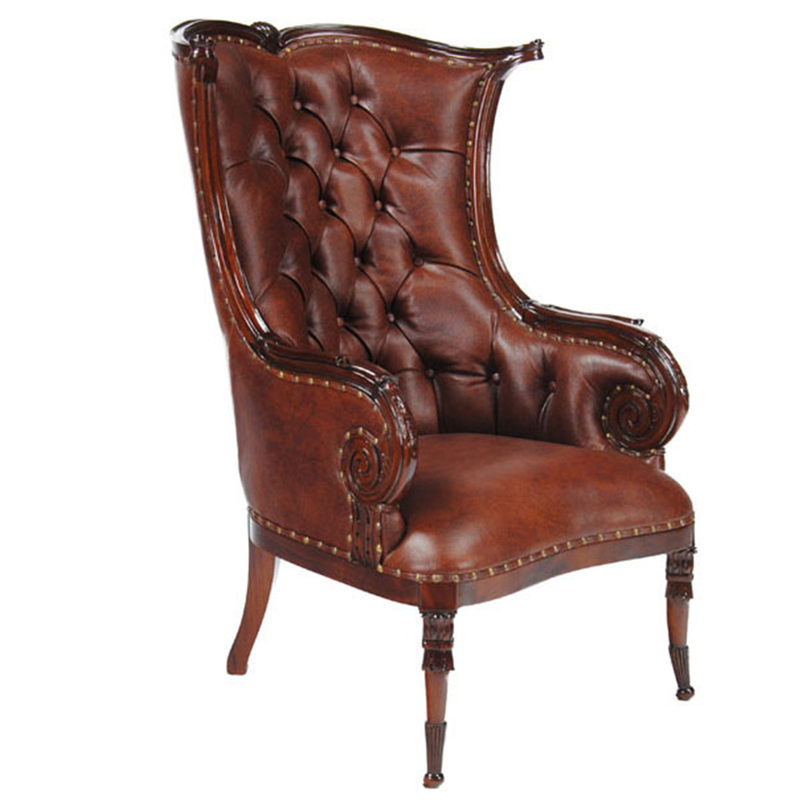 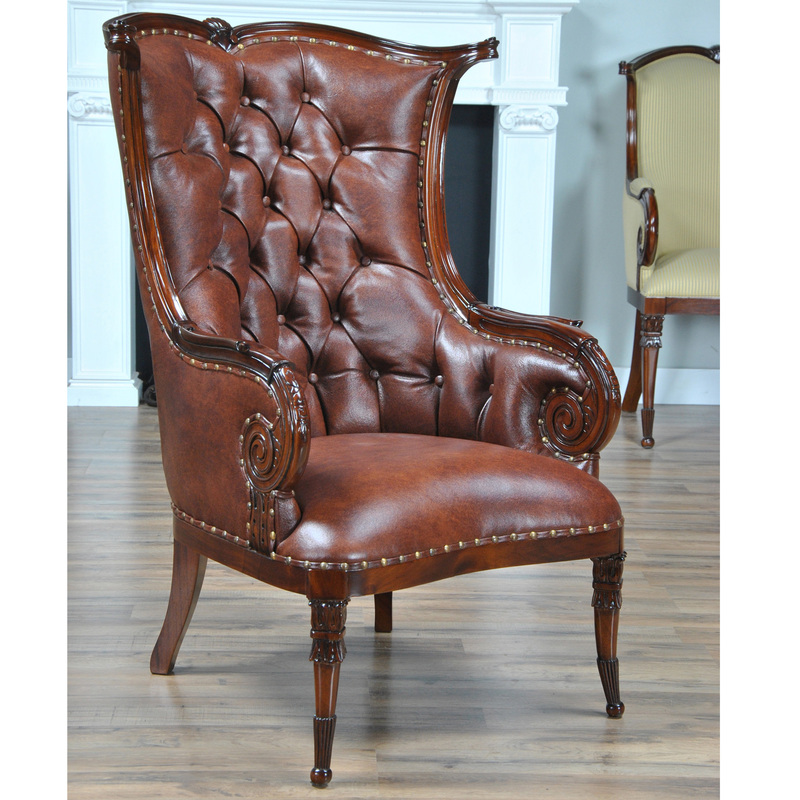 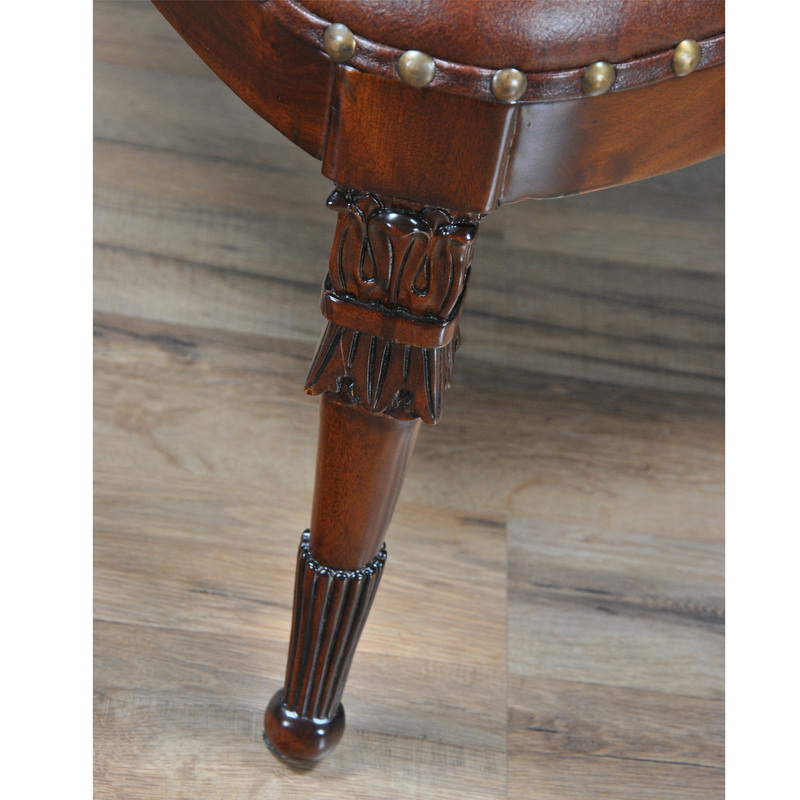 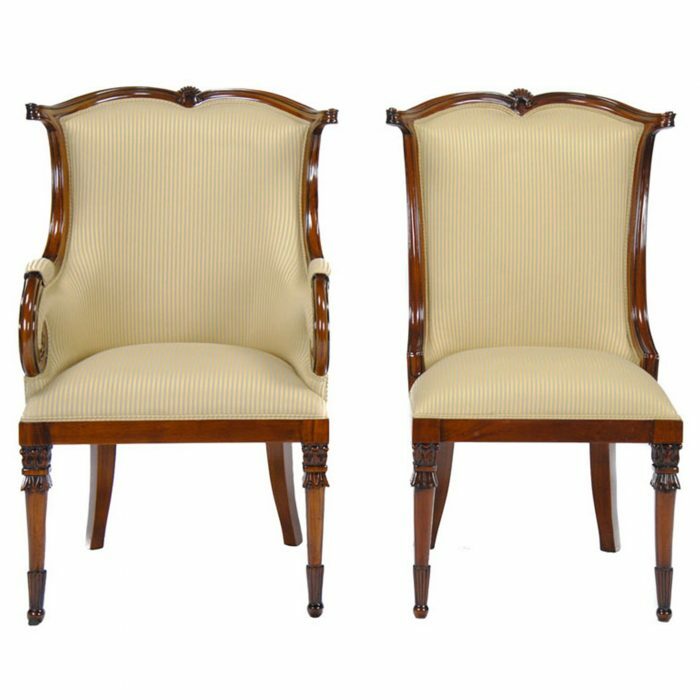 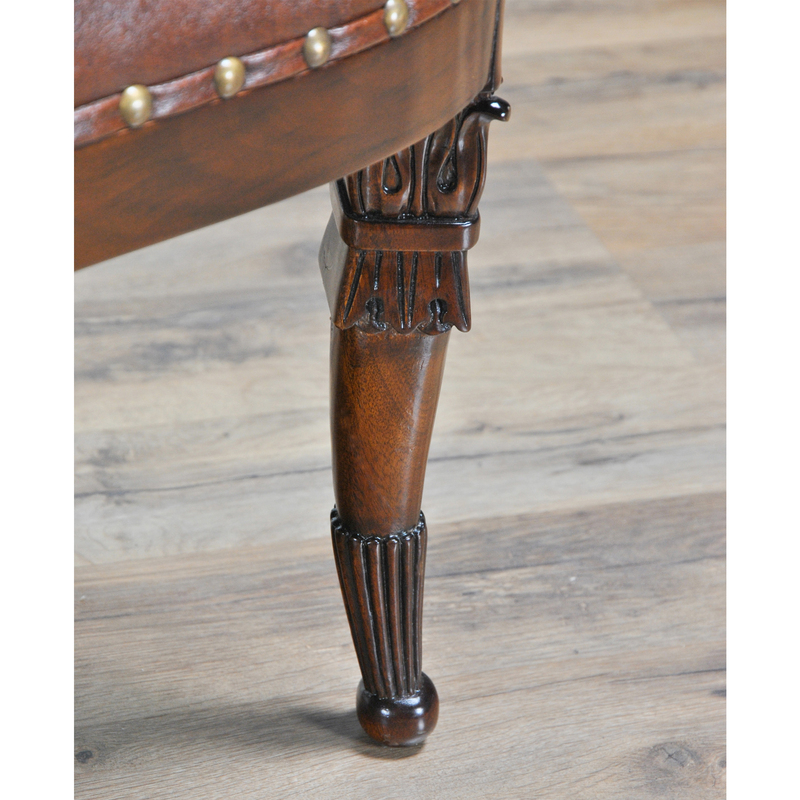 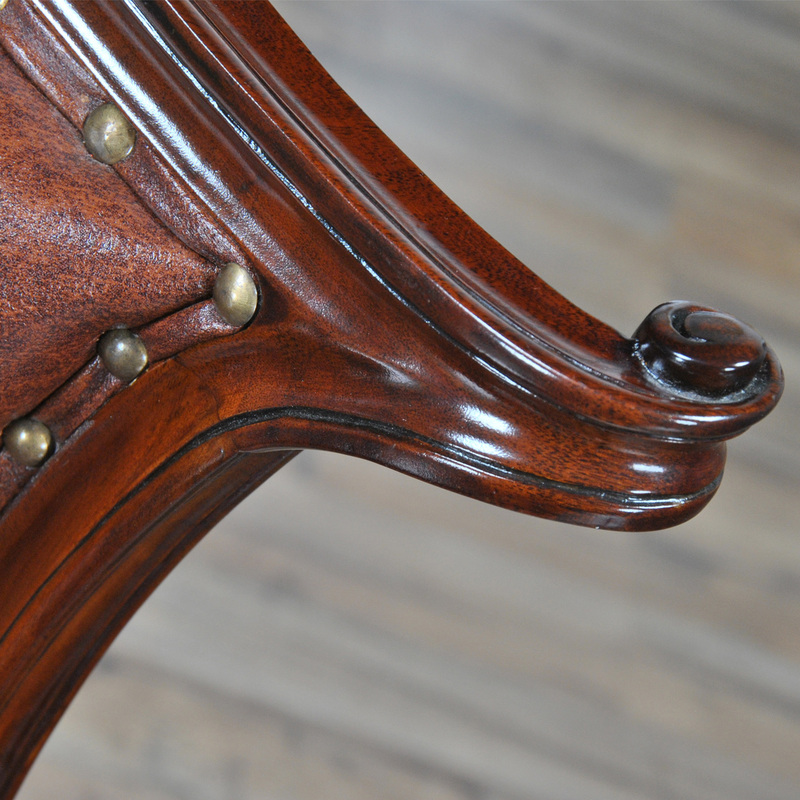 This reproduction antique has all of the features of it’s ancestral inspiration with a solid mahogany barrel back designed frame for ultimate comfort when seated. 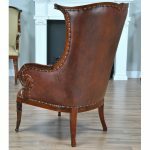 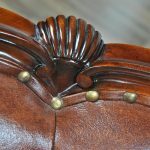 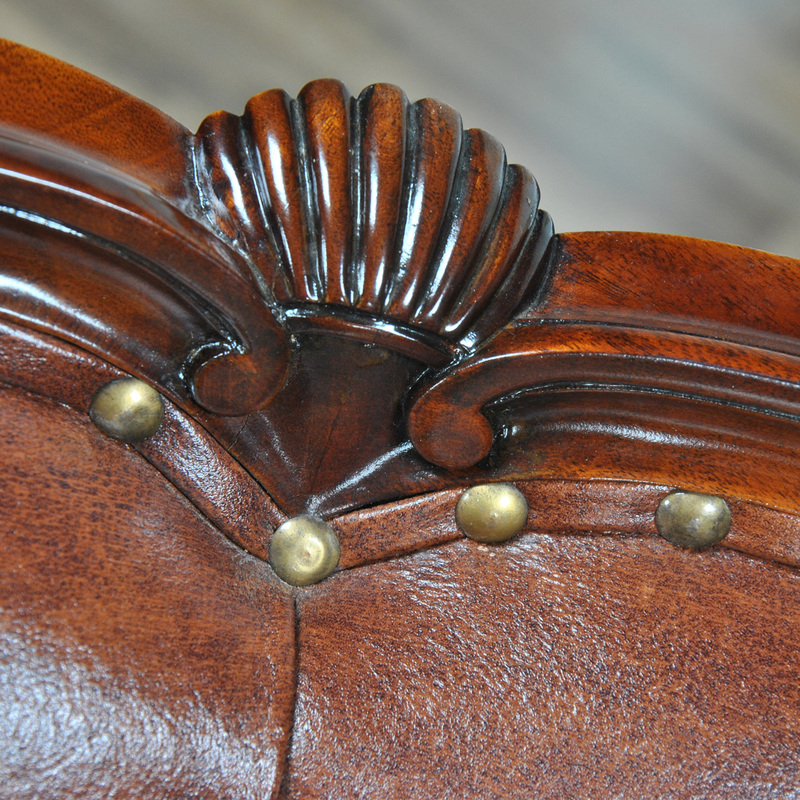 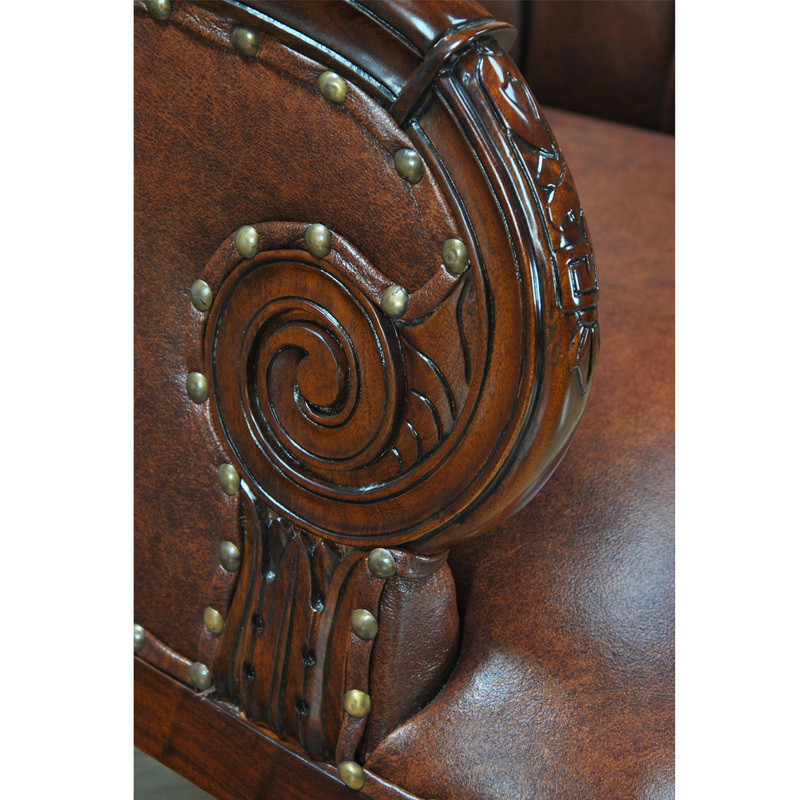 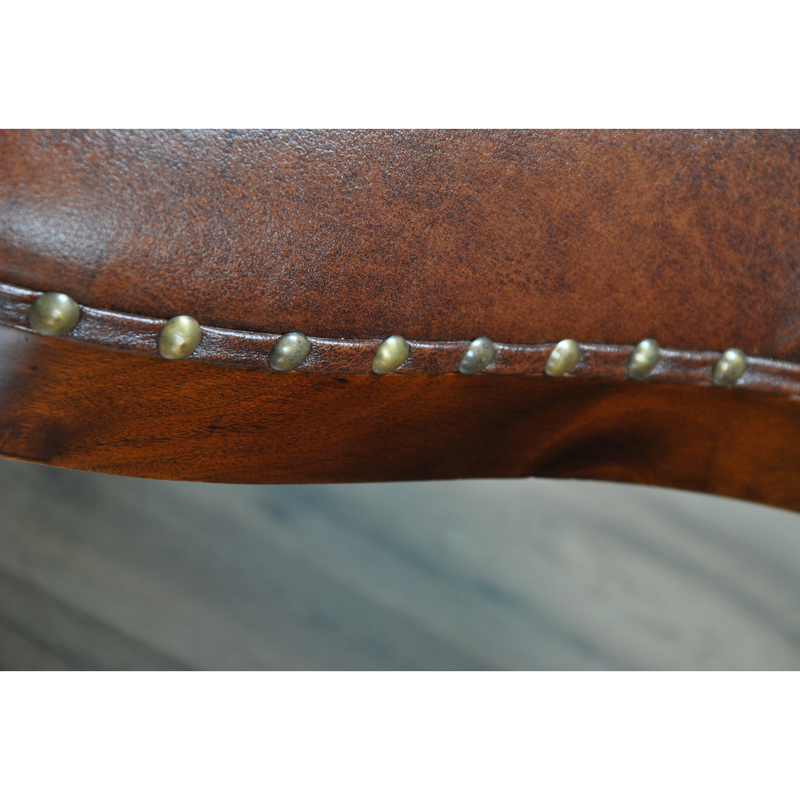 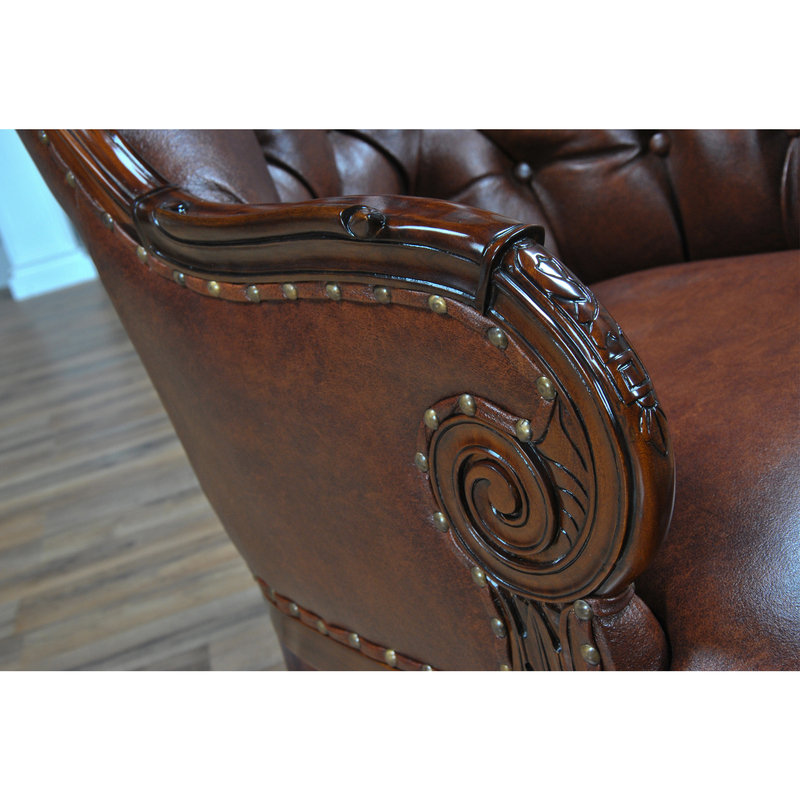 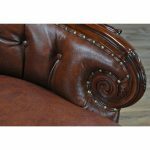 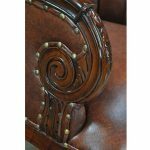 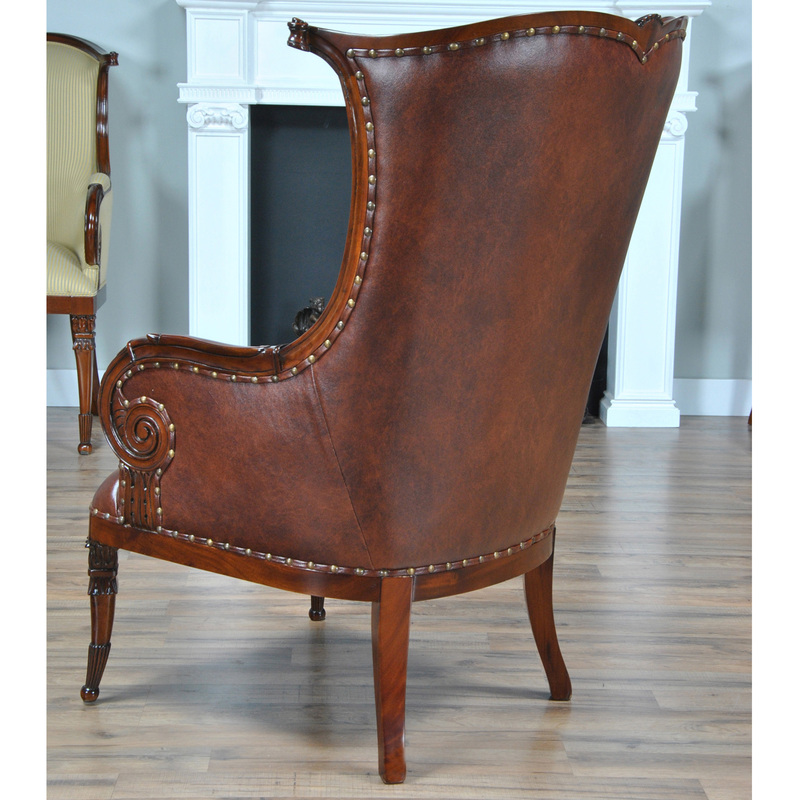 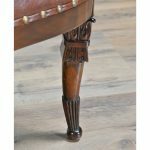 The Leather Fireside Chair has carved details which are produced using plantation grown solid mahogany throughout the frame. 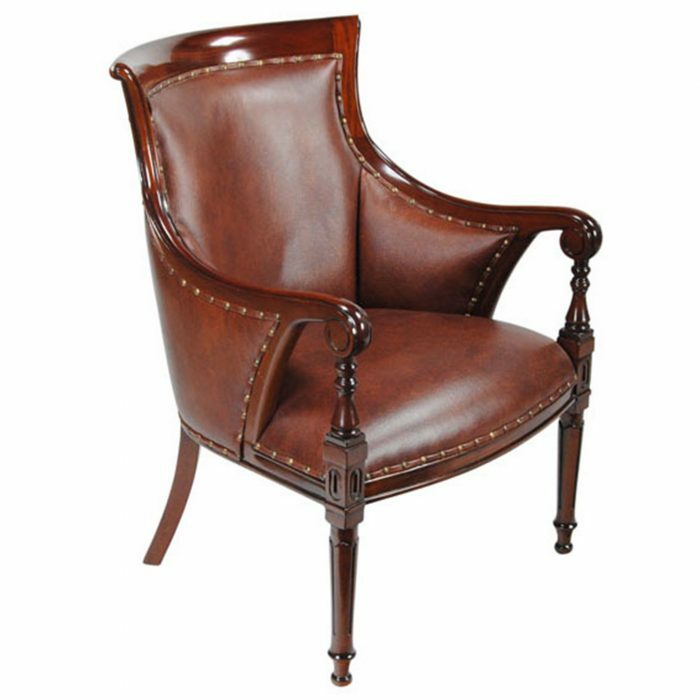 Our Leather Fireside Chair is suitable for use anywhere in the home, although they still look best when placed near a fireplace! 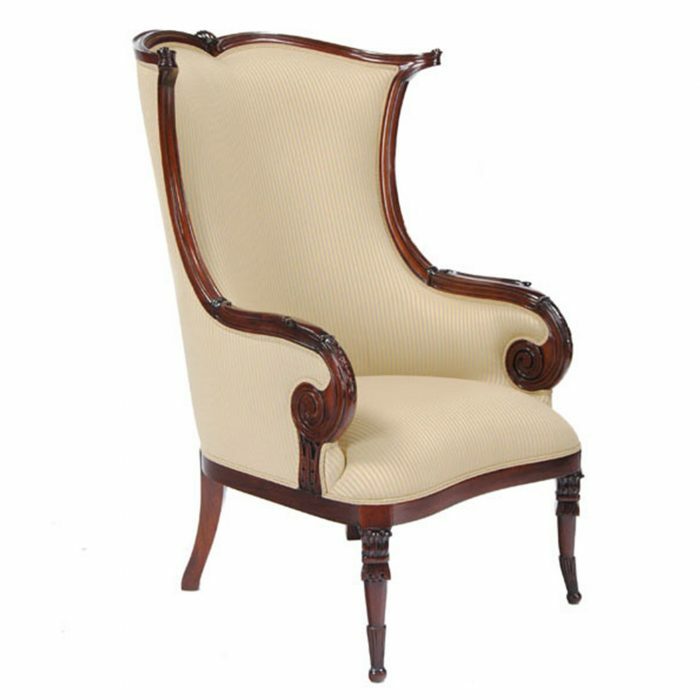 Arm height is approximately 25 inches and seat height approximately 17 inches.